Home › National List › Thanksgiving: One of my favorite days of the year! Thanksgiving: One of my favorite days of the year! Thanksgiving has been one of my favorite days of the year for as long as I can remember–probably since I was five years of age. I don’t know anyone who does not love Thanksgiving. I vividly remember anticipating the arrival of friends and family, once Santa Claus was spied at the end of the Macy’s Thanksgiving Day Parade. For me, the Parade signaled the countdown to the Holidays, aka Christmas and Hanukkah (they had names back then). I was also excited to receive the surprise (NOT!) foil- wrapped, chocolate turkey my grandmother never failed to deliver—just in case there was not enough dessert that day! When the feast was eaten, and the chocolate, too, my dad would spin 45’s (something like listening to songs you buy from iTunes for .99 cents, except they take up much more space), and we would dance to the music of Chubby Checker, The Beatles and Petula Clark, until we all kissed good-night. As a young boy, it didn’t dawn on me that this wonderful day of abundance, of gathering with people you love, of community and celebrating life was all about giving thanks. I can’t remember exactly when I fell in love with this holiday. My guess is that it coincided with my expanded consciousness that the true meaning behind the day goes way beyond remembering the Pilgrims and Native Americans being thankful and breaking bread together! Celebrating a holiday where people come together to share their thankfulness seems like a very cool idea to me. I’m very happy that my family gives thanks in this way every year. My hope is that all of our friends, families and colleagues (and yours) have something or someone to be thankful for this year, even if it’s just being thankful to be alive. So many of our friends in the Northeast had their homes and neighborhoods ravaged by hurricane Sandy, but thankfully, no one we know was hurt. This Thanksgiving we have an abundance of things and people to be thankful for. All of us at The National List are so very thankful to you, and for the opportunity to serve you for another year. We’re thankful for your business, your association with us, and your candid input and willingness to share your creative ideas, so we can continue to raise the bar in your behalf! 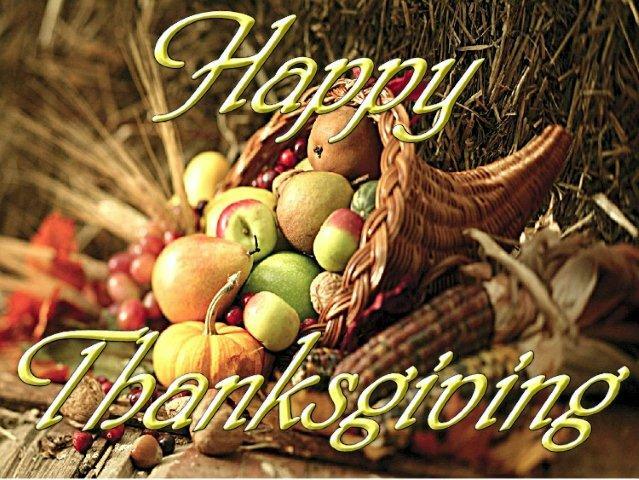 We wish you and yours a very thankful and joyous holiday! Be assured that you will be in our thoughts when we crack open the chocolate turkey!